People who have experience in the field of properties for the stage may be familiar with a dilemma I’ve run into in producing the Mrs. Hawking plays. Sometimes, your script will call for a specific prop that expensive or difficult to acquire that is needed for only a scene or two, but is integral enough to the plot that it can’t be changed or cut. That means you’re stuck investing in getting or making the damn thing, even though it’s going to be a lot of effort for not a ton of use. In Vivat Regina, that one prop was the service trolley. 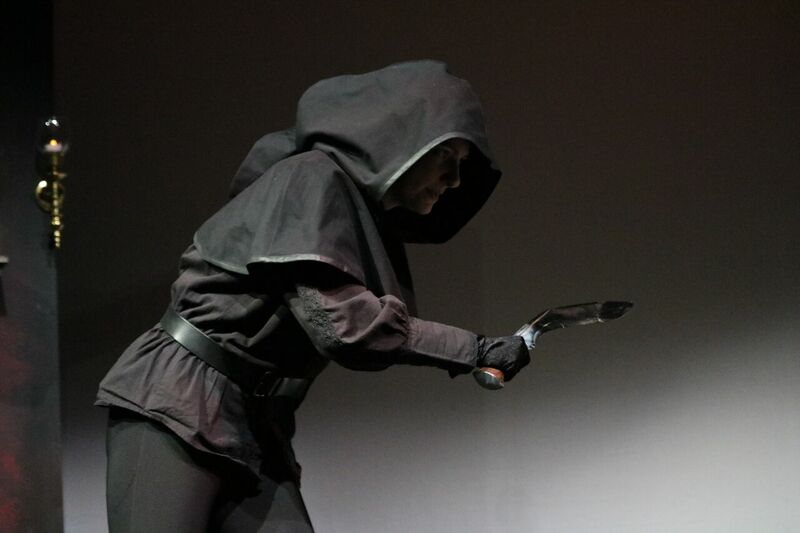 It was called for only once in the opening scene, but the action of the scene absolutely depended on it to unfold. Unfortunately, a trolley with the right look for a fancy Victorian party was a pretty specific order, and even at the low end those things don’t come cheap. 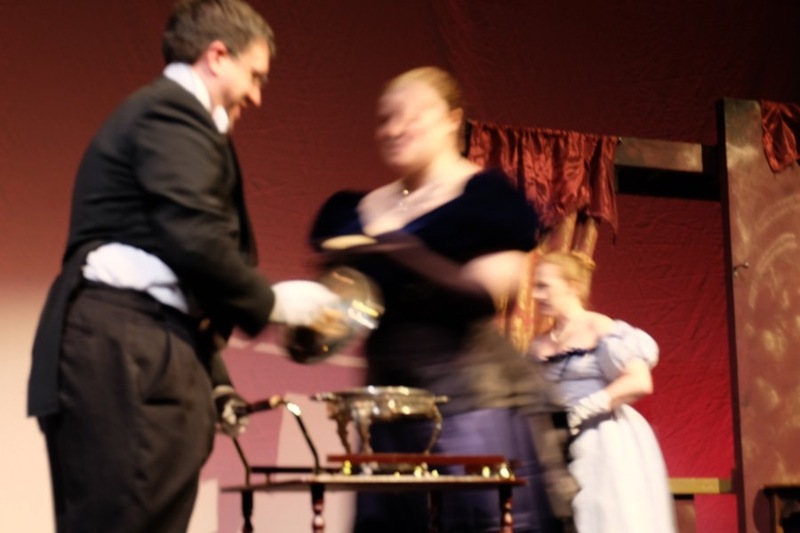 After a lot of research, the most affordable appropriate one we could find ended up being the single most expensive piece bought for that play. For Base Instruments, we’ve talked about the challenges of one specific setting. But the showpiece prop in that one will be the gramophone. 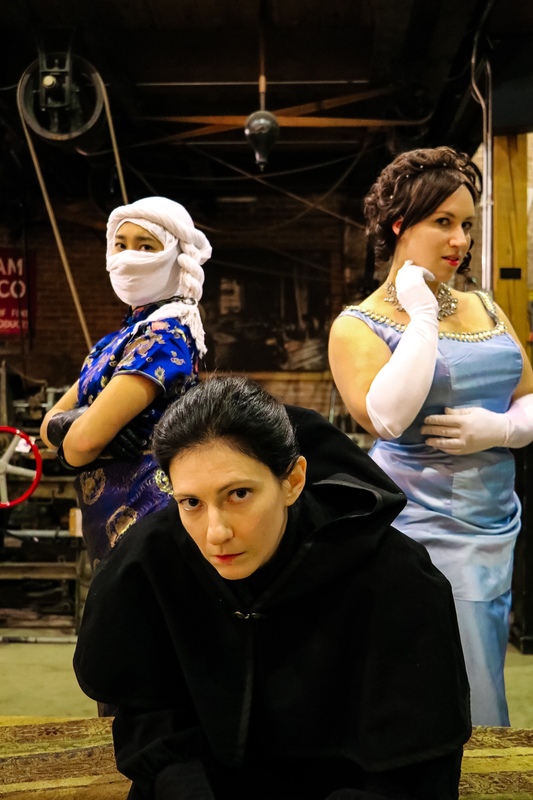 The device is important in two scenes, the first when listening to the score of La Bayadere helps Mrs. Hawking determine where certain players would have been at a specific time, and the second when it is used to keep the pace of events during the reconstruction of the crime scene. 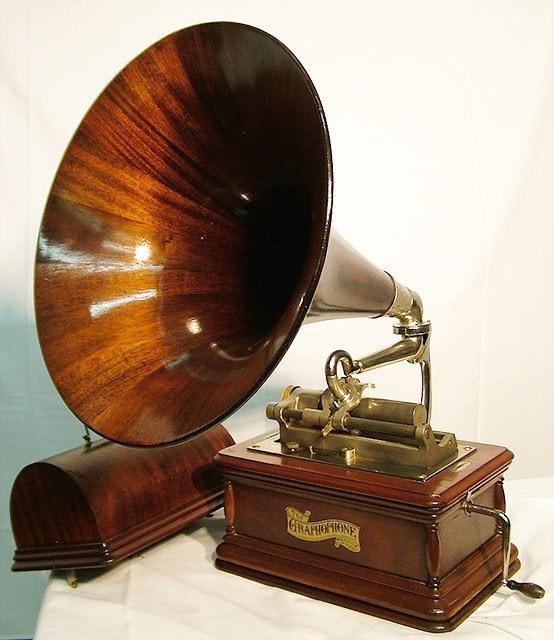 Invented in 1877, the phonograph would be a pretty hot new piece of technology for our gang in 1883. At that time, only wealthy households might own one. It may be that Mrs. Hawking went out and bought one specifically in the process of working this case. 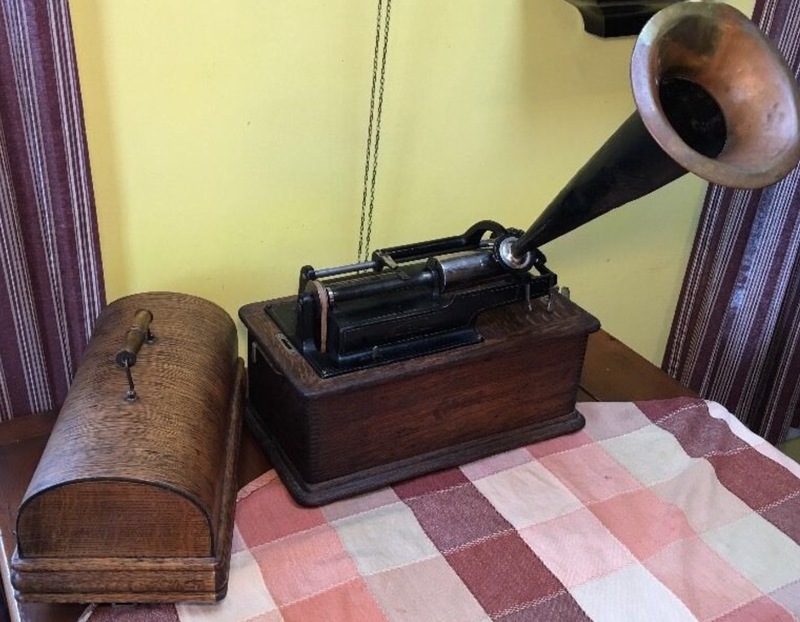 At the time the device operated not with vinyl discs like later models, but instead with the needle running along the grooves in wax cylinders. There’s a brief reference to one in Vivat Regina when Frau Gerhard offers to play Nathaniel the music from Die Fledermaus. Actual antique phonographs are pretty far out of our budget, we are forced to get creative and build a prop version! The important features are the wooden cabinet, the horn, the crank, and the mechanism with the cylinders. We may be able to get away with obscuring the mechanism by implying that it’s hidden inside a lid, but the others are pretty essential. The current plan is to get a lidded wooden box that can be stained to look fancy, an ornate funnel-shaped piece to stand for the horn, and a brass crack to attach to the side. 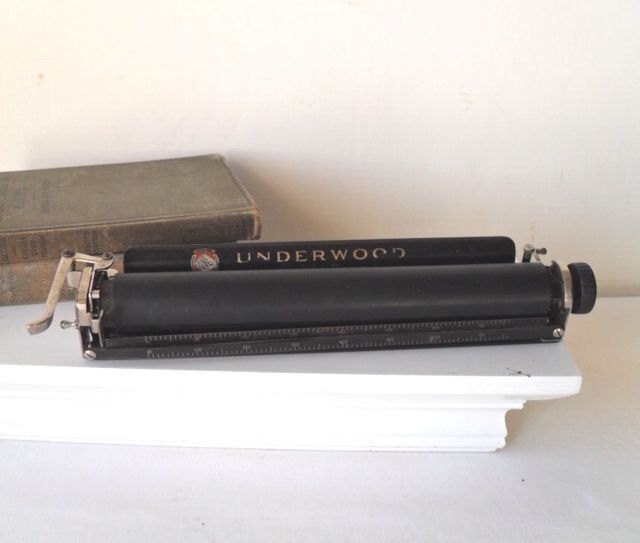 If need be, the carriage of a typewriter might be made to look like the needle mechanism, but that might be difficult and expensive to get a hold of. In that case, a candle could easily stand in for the wax cylinder. This will probably be an pricey and perhaps even technically challenging project, but if made correctly it has the potential to be a beautiful and unique piece of stagecraft. Wish me luck putting one together!